The arts and creativity contribute to wellbeing in everyday life. They are also increasingly valued as a cost-effective way to nurture healthy, resilient communities, says Te Ora Auaha, a national network to be launched in Wellington on Wednesday 3 April by Hon Carmel Sepuloni, Minister of Social Development and Associate Minister for Arts, Culture and Heritage. 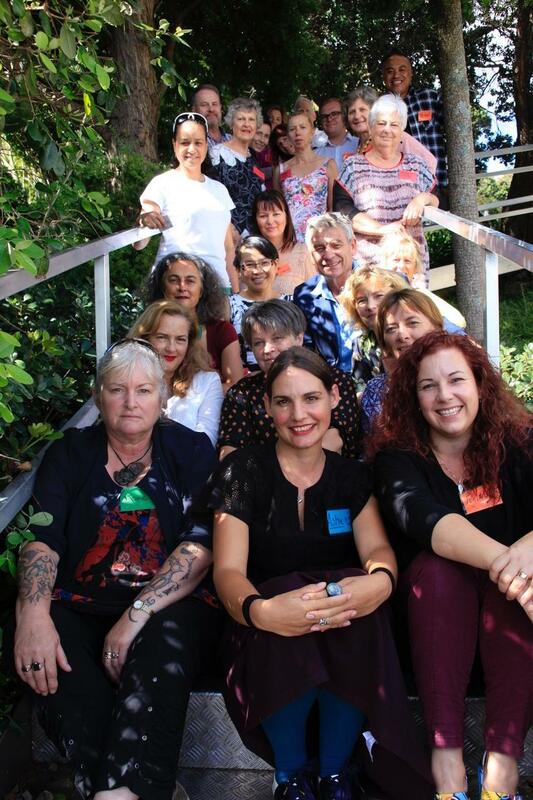 Te Ora Auaha: Creative Wellbeing Alliance Aotearoa is made up of individuals, groups and organisations across the arts, health, youth, social and education sectors. Over the past two years, representatives have been engaged in a research and consultation process to establish the national network. They all have at least one thing in common: the knowledge that the arts and creativity can help address significant national concerns about mental health, social inclusion, an ageing population, and social and cultural inequalities. Welcoming the establishment of Te Ora Auaha, Carmel Sepuloni says: “We know our arts and culture are valuable and positive enhancers of our physical, mental and social wellbeing. “Recognising the essential role that the cultural sector has in the wellbeing of our society, the Government is committed to ensuring all New Zealanders can access and participate in arts and cultural experiences. “This year’s wellbeing Budget sees a switch from a focus on GDP to one that puts people, the health of our environment and strong communities at the centre. “When more New Zealanders can access and participate in a range of cultural experiences and the sector is valued we’ll see the creative sector grow, creative people thrive and individuals becoming stronger and more resilient,” Carmel Sepuloni says. Te Ora Auaha’s vision is of the arts and culture as a “vital contributor to the health, wellbeing and sustainability of communities across Aotearoa”. Its work will focus on four key areas: research and evidence, sector development, government policy and investment, and leadership. Central to this is a new website (to be launched on Wednesday) to share knowledge and research, connect the sector, and advocate for policy change and investment. Peter O’Connor, Professor in the Faculty of Education and Social Work at the University of Auckland, says the time is “ripe” for New Zealanders to embrace creative wellbeing. Prime Minister Jacinda Ardern has expressed her commitment to the role of the cultural sector in the wellbeing of our society; the Mental Health and Addictions Inquiry report is calling for fresh approaches to community wellbeing; and the Government has developed wellbeing indicators to guide its investment. He says that “arts for health and wellbeing” is a well-established practice in countries such as the UK, Australia and Canada. In the UK, for example, doctors can prescribe art classes for their patients. “Here in New Zealand, there are excellent examples of the arts being used to promote health and wellbeing in our hospitals, schools, community-based creative spaces, communities and prisons,” he says. Dr Lucy D’Aeth, Health Promotion Specialist with the Canterbury District Health Board, says the network’s launch is timely. Te Ora Auaha has been funded through the Creative Thinking Project at the University of Auckland and the Working Together More Fund. It has also been assisted by Creative New Zealand, Arts Access Aotearoa, Australia, New Zealand and Asia Arts Therapies Association and Whitecliffe College of Art and Design. Original generation time 2.3493 seconds. Cache Loaded in: 0.0005 seconds.